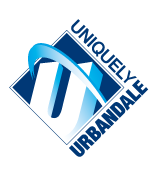 It is the policy of the Board of Directors of the Urbandale Community School District to provide an educational program of the highest standard possible and feasible and to fulfill the mission statement of the District. Success in attaining these goals is dependent in large measure upon the competency of the personnel of the District. Therefore, it shall be the policy of the Board of Directors to recruit and retain employees who exhibit the highest standards of professionalism and competency. Each member of the District’s staff provides an important service for the students–whether teaching or assisting in the classroom, working in the office, preparing meals, maintaining facilities, transporting students, or performing other duties. Each employee has an impact on the school environment by his/her dedication to work and his/her actions, verbal and nonverbal. Each employee shall be expected to be a positive role model for the students. All District personnel shall strive to promote a cooperative, enthusiastic, and supportive learning environment. It is the policy of the Board of Directors to delegate to the Superintendent and to the Superintendent’s administrative staff decisions regarding personnel matters, except as may be specifically limited by Board policy or by law. Except where a specific provision has been collectively bargained governing the employment relationship, all employees of the Urbandale Community School District shall be governed by the policies of the Board of Directors and by administrative procedures, rules and directives. The Board reserves its discretion, which may be delegated to administrative personnel, to determine the number of employees, the qualifications and the duties of each position in the District, and the required standards of performance of employees. Persons employed by another organization to perform services for the District shall not be granted salary or benefits by the District, but shall be subject to other District policies and administrative procedures, rules and directives while performing services for the District.